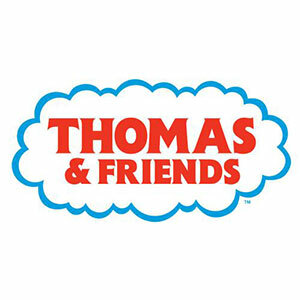 Fisher-Price Thomas & Friends Fun Flip Thomas is ready to delight toddlers with an amazing stunt. Just press down on his roof to see him speed forward and flip! After Thomas performs his somersault, he lands right-side-up on his wheels. Just like that, he's ready to go again! As children discover how to make this Thomas train flip, it can encourage their curiosity and understanding of cause and effect. Plus, pressing on Thomas' roof, rolling him along, and chasing him after he completes his trick can foster their developing motor skills. All aboard for a fun-filled, flipping adventure with the No. 1 blue engine!